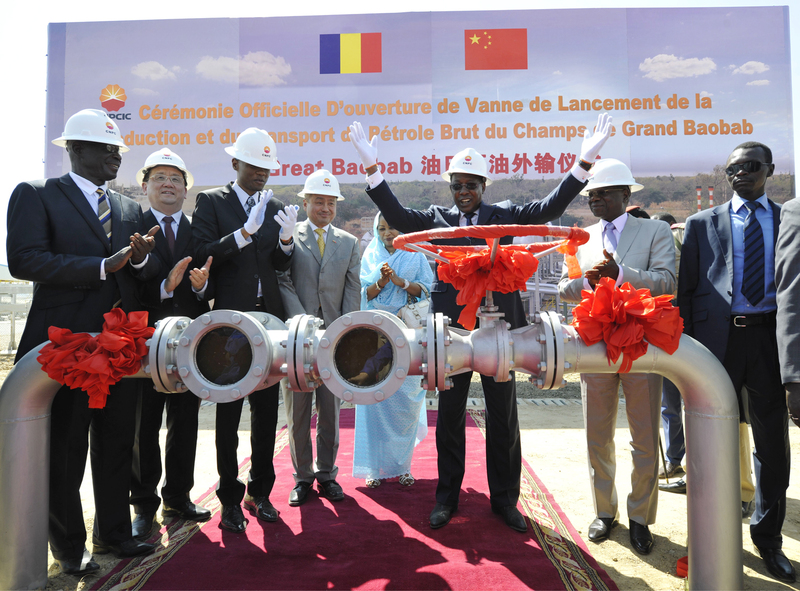 Idriss Déby, President of Chad (third from right), with officials from Chad and China, celebrates crude oil exports by the China National Petroleum Corporation from the Great Baobab oil field in Chari-Baguirmi, southern Chad, December 22, 2014. Former Hong Kong Secretary for Home Affairs Patrick Ho Chi-ping pleaded not guilty last month to corruption charges brought by a U.S. federal court in New York after he was accused of offering bribes worth a total of U.S.$2.9 million to prominent African leaders and ministers. The allegations of Chinese bribery in Africa highlight the sharp contrast with how corruption is dealt with severely at home under President Xi Jinping’s high-profile anti-corruption crackdown and the more relaxed view Beijing seemingly has regarding overseas financial misdeeds. China, like the U.S., does have anti-foreign bribery laws on its books but they are rarely enforced, according to some experts. CNN International journalist Jenni Marsh has been covering the Patrick Ho story from Hong Kong, where interest in the case is especially high. Marsh joins Eric and Cobus to discuss why Ho’s alleged crimes may represent a much bigger trend within the China-Africa relationship.